Change is hard. While we are sad to see our little piece of The Shops of Legacy close, we are even more excited for what the future holds for Pearson & Company design services. We cherish the relationships that were built through our brick and mortar store. We will miss your smiling faces walking through our doors but cannot wait to delight you with our full-service design resource. 1. Celebrate with us -- the entire store is 30% off...or more! We have some lovely, unique pieces that will go quick. 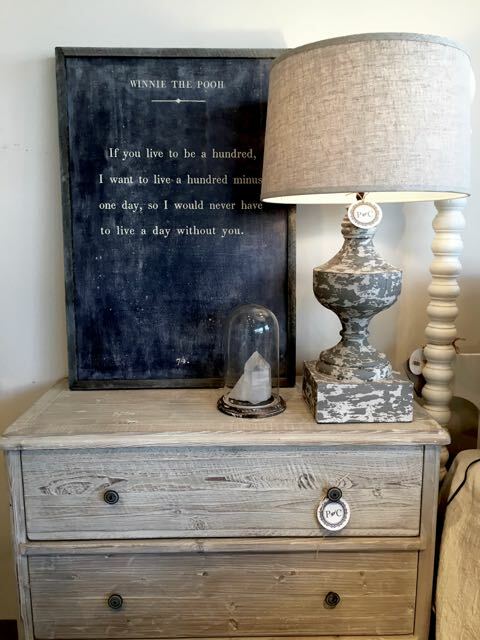 Stop by early to get the BEST selection of Pearson & Company treasures. 2. All custom orders will arrive as scheduled. We will make sure that your custom orders arrive just like we promised. After all, we will be a total custom order design resource from now on! We pride ourselves on carrying top of the line furnishings that we source first hand. Please contact us at monica@pearsonandcompany.com if you have any questions or concerns about your pending custom orders. We are unable to give store credit for any previous or future purchases. Everything from here on out is FINAL SALE. If you have a store credit with us, you have until the doors close May 31st to redeem it. Store credit has no cash value. The future is bright. We have been fortunate to begin working with new construction and complete home design projects. We are looking forward to transitioning to a full-service design resource business. The bottom line is that we are still here for you -- just in a different way! We're still on a mission to bring swoon-worthy, pinterest-envy design ideas to the Midwest. Are you on board? Give us a call and let's start styling!